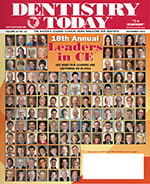 “As we draw near to the close of yet another amazing year, the Dentistry Today team presents our 18th Annual leaders in continuing education feature in print and at dentistrytoday.com. There are so many talented clinicians and dental consultants that are worthy of this honor in North America, and I will continue to state each year that the list is by no means an all-inclusive one. A good number of our clinical authors, if they meet the qualifications and then approval from our CE selection board, appear on the cover or cover fold-out. 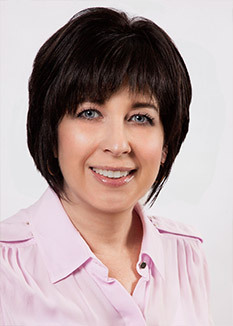 The Leaders who contribute content to Dentistry Today are very special to us, as we know they have demanding schedules, and ﬁnding the time to contribute articles (and in many cases, to other publications as well) takes commitment, valuable time, and precious energy. We realize that our authors submit clinical articles as a labor of love for the advancement of the profession, unselfishly sharing their clinical techniques, expertise, and timely perspectives. We hope that all of you, as our readers, sincerely appreciate what they do for all of us. Perhaps, the next time you meet or are attending a lecture given by one of these dental celebrities, please consider acknowledging that you saw them in Dentistry Today and take the time to express your own heartfelt appreciation. We know that they will be truly grateful to hear your kudos for a job well done!